Harry Reid’s alma matter is removing his name from a school building after citizens and alumni lobbied the school president and pledged more than $40,000 to the cause. 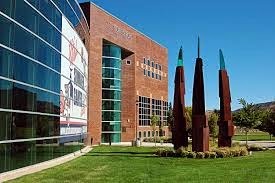 Concerned citizens lobbied Southern Utah University president Scott Wyatt months ago for the change, but he has only now decided to remove the name out of respect for the Senate majority leader, Utah’s The Spectrum reports. “I didn’t want to offend him in any way,” he explained. Cedar City Councilman Paul Cozzens told The Specter he received $40,000 in pledges to remove the Nevada senator’s name in just five days. The school attached Reid’s name to the Outdoor Center expecting donations from Reid and his friends, The Specter reports, but those donations have not materialized. Any educational organization stupid enough to have Harry Reid's name on anything including a latrine or commode does not deserve to have anyone attend. It should be closed and prospective students should be encouraged to seek education at a quality school and not some stumble-bumb outfit like this one.